Hello lovlies- hope you all are doing great lately! First ones are just too perfect, something I definitely would wear on daily bases, with full-circle skirts, simple, monochrome dresses and even only with big, oversized white blouse, paired with cat-eye sunglasses and messy bun on the top of my head. Pastel colors are still positioned high in my wardrobe, combined with white & bright colors- and that powder, pastel platform shoes are just perfect for glance of bright yellow and simple, minimalistic cuts. I just can't make up my mind on these four- and all of them deserve attention- from color blocking, cute heart buckle, studded straps to pep toe and eternal black & white combo, I would rock all of them this Summer. 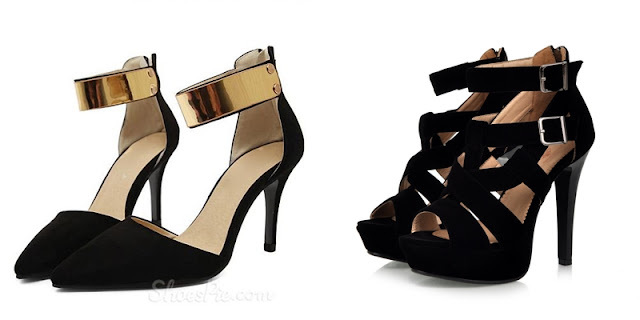 Also, you can find perfect pair of dress sandals for under 50$, and I had even more fun looking through these- because all of you can afford perfect pair of them for cheap and wear it this Summer, in countless combinations, and my faves are definitely ones with golden details- and platforms, once again. First ones, pointed with golden details are both perfect for day outfits- with simple white blouse and boyfriend jeans, and night ones- with black bodycon dress and pieces of golden details, and they are probably on my wishlist for the longest- second ones are just so easy to walk in, just perfect for variety of combinations, and one of the must haves, if you ask me. 1st shoes- check out here! 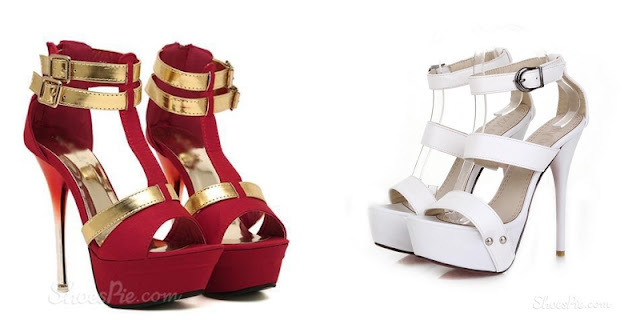 ;2nd shoes-check out here! Both of them are work of art, aren't they? which ones are your absolute favorites? Take care, and don't forget to love yourself. These are such pretty shoes! Wow, they have incredible shoes! Love the purple pair. I love these shoes, there are so many cool designs, great picks! In love with the post, very entertaining.